Today: How to pick a wine that's as special as this year's grad. A few years ago, right about this time of year, I was asked to lead a wine tasting for new college graduates and their parents. I borrowed a technique from Kevin Zraly, a masterful teacher and Wine School founder: Zraly asks his students to take a sip of wine and then be perfectly quiet for 30 seconds, to let the taste really sink in. When I asked my group of newly-minted (and skeptical) college grads to do the same, lightbulbs went on all over the room. They talked about the taste evolving in their mouths. They talked about the flavor “burning away.” They talked about the aftertaste (the “finish”) blossoming, but not until a good 20 seconds into it. And then one young graduate turned to his Mom and said, “I never give anything 30 seconds of my undivided attention.” She laughed, he laughed, we all laughed. It was true. Yet focusing on your personal experience, even for that 30 seconds, is probably the quickest way to build confidence as a taster of wine. That’s the key to wines for the graduation season: it’s a time of surging confidence. This year, tuck a bottle of sparkling wine under your arm as a graduation gift; popping the cork on a few bottles of bubbly is, by far, the most traditional way to layer wine into graduation season festivities. 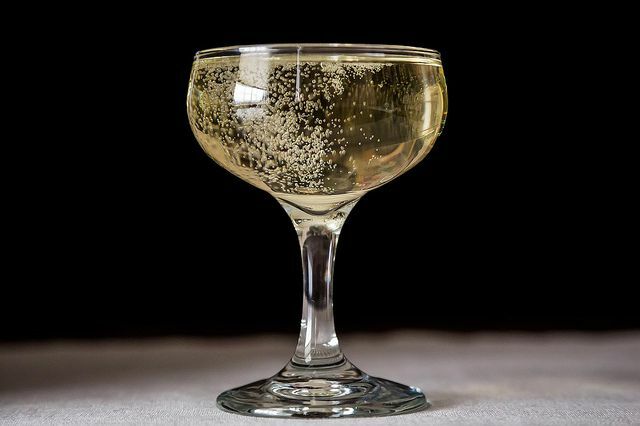 (This is the time of year, along with New Year’s Eve and Valentine’s Day, that sales of sparkling wine hit their peak.) Here are a few more strategies to spice up tradition and choose the very best, most unique bottle for your specific occasion. More: Going to an outdoor celebration? Take a look at our favorite picnic wines. With so many regions producing sparkling wine today, you’re bound to find a bottle that resonates with the graduate and doesn’t break the bank for you. Did they study abroad for a semester in, say, the UK? Toast them with Nyetimber sparkling wine out of the South Downs in England. Are they headed for their first “real jobs” in New York City? Send them off with a Blanc de Blancs from Bedell Cellars on the North Fork of Long Island. Are they destined to launch their career abroad? Moët-Hennessy has just announced plans to launch domestic sparkling wine from India, of all places. Those are just a few examples, but you get the idea. That’s when most of this year’s college graduates were born. Why not raise a toast to them with wine that was born that year too? It won’t be cheap, and it will take some looking, but it’s a once-in-a-lifetime occasion, after all. For Champagne, 1992 was the best of several earlier and later vintages on either side of it. (Look for Duval-LeRoy or Bollinger for a treat.) If you prefer a still wine, then look for Cabernet Sauvignon from Napa and Pinot Noir from the Sonoma Coast. The 1992 Stags Leap Wine Cellars Cab from Napa is education in a bottle; the 1992 Kistler Cuvée Catherine Pinot Noir from Sonoma’s Russian River Valley is a history lesson in itself. Champagne is produced every year, and it is often a blend of juice from multiple years’ harvests; you’ll see the letters NV, or non-vintage, on the label. Occasionally, however, a designated vintage is declared when the harvest is exceptional; 1992 was one of those years. A similar thing happens with Port wine: the production of Port proceeds continuously, but only some years are declared Vintage Ports. Again, 1992 was one of those years. Try the Fonseca and Quinta do Vesuvio lines. 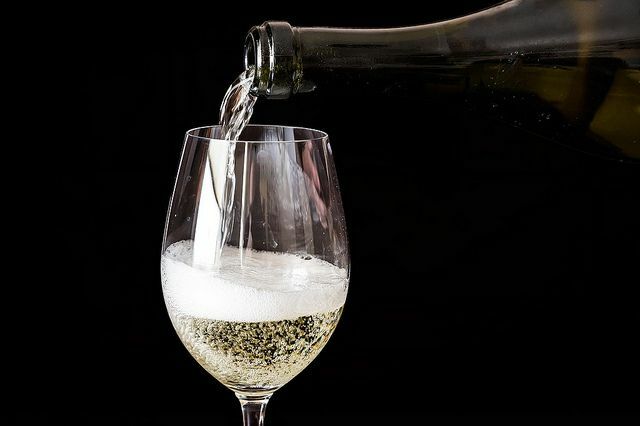 When you’re choosing a wine this graduation season, follow the recipe for a well-considered celebratory toast: keep it personal, consider the audience, and follow through with confidence. Cheers! Thank you both for pointing this out! My math (2013 minus 21 equals 1992) was influenced by my own age when graduating from college, which was in fact 21. I seem to remember that senior year was happily peppered with nights out to celebrate friends' twenty-first birthdays! Fortunately the gist of the idea -- to look for wines from the graduate's birth year -- still stands, regardless of what that year is. Well-regarded wines from 1991 include reds from Coonawarra in south Australia (Cabernet Sauvignon), Ribera del Duero in Spain, and the Northern Rhone in France. If your grad was born in 1990, look for reds from Bordeaux and whites from the Loire. And don't forget to raise a toast! Most of the college grads this year were born in '91! And many were born in 1990. The 1992 babies will, with few exceptions, graduate next year. Thanks for pointing this out! I spoke with Cathy (who is busy with research tasting pine bark at the Nantucket Wine Festival at the moment), and she let me know that she'll pop in here later to give suggestions to grads born in '91!